Redpine’s WiSeMote WM4-50 Wearable RTLS Tag offers real-time locationing in 2.4 and 5 GHz bands using both Wi-Fi and Bluetooth low energy protocols. Redpine Signals, Inc., a leading developer of ultra-low-power and high-performance multi-standard wireless chipsets and systems, today announces the release of the industry’s first wearable Wi-Fi and BLE RTLS tag with dual-band capability. The WM4-50 device is available in several form factors and is worn around the wrist or neck and features sensors, an alarm button and LEDs for two- way communication with the network and for emergency use. The tags, in conjunction with Redpine’s RTLS infrastructure, offer accurate locationing through multiple modes. Operating in Wi-Fi mode, higher GHz band helps ensure longer battery life compared to tags that operate in the crowded 2.4 GHz spectrum. 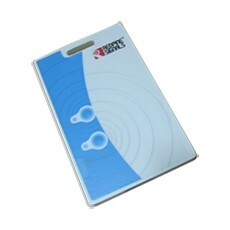 This tag device is unique in the sense that it uses Wi-Fi for data connectivity where a proven IP networking functionality becomes important along with secure operation. WM4-50 supports enterprise security to provide needed security for data connectivity; BLE is used for enhancing the battery life and location accuracy utilizing Redpine’s proprietary location technology. This versatile tag selects an optimal wireless protocol for a required feature (security, IP network flexibility, location accuracy) in a given application. Redpine has created its own infrastructure for locationing, keeping ease of deployment in mind. Creating a cost-effective overlay architecture is the key piece of the solution which includes SuperMote™, a device that communicates with the tag and a NetworkMote™device that communicates with the IP network. This architecture not only simplifies the deployment, but also enables higher-accuracy applications using both Wi-Fi and BLE. Coupled with Redpine’s Cloud Based Location as a Service (CLaaS™) offering, Redpine provides a total solution for the wearable and location markets. “We have built the WM4-50 wearable tag using our ultra-low power M2MCombo™ chipset, RS9113, providing it with a host of unique features,” said Venkat Mattela, CEO of Redpine Signals. “Multi-mode tags, such as Redpine Signals WiSeMote Tags with enterprise security, Bluetooth Low Energy and Wi-Fi are a great example of the technology being developed to enable the Internet of Everything, connecting people, processes, data and things,” said Bob Friday, Chief Technology Officer and Vice President of Cisco’s Enterprise Networking Group. The tags are waterproof to enable sanitization, and offer a find-for-location-based tracking of people in amusement parks, hospitals, large office buildings, hazardous work environments, among others. 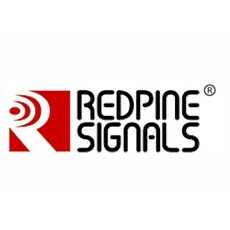 For more information on Redpine products, visit http://www.redpinesignals.com/ or contact Redpine atinfo@redpinesignals.com .